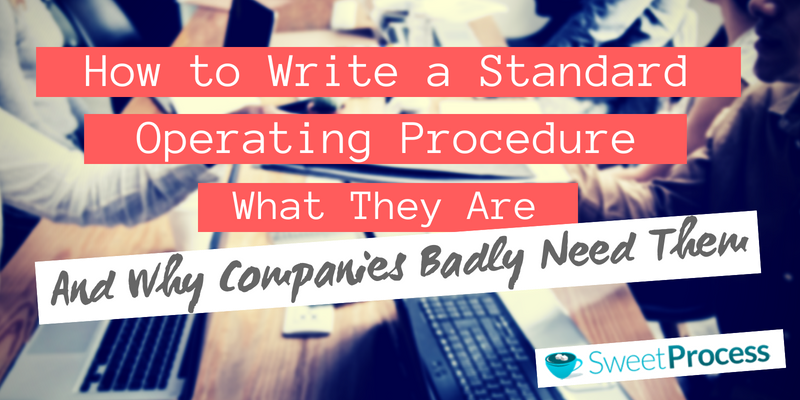 Do you want to learn how to write a standard operating procedure for your organization? A common issue many executives or managers experience with their employees is they either don’t follow direction, or they repeatedly come to them with the same questions. This can cause you irritation, make your business inefficient, and over the long haul, more expensive to run. 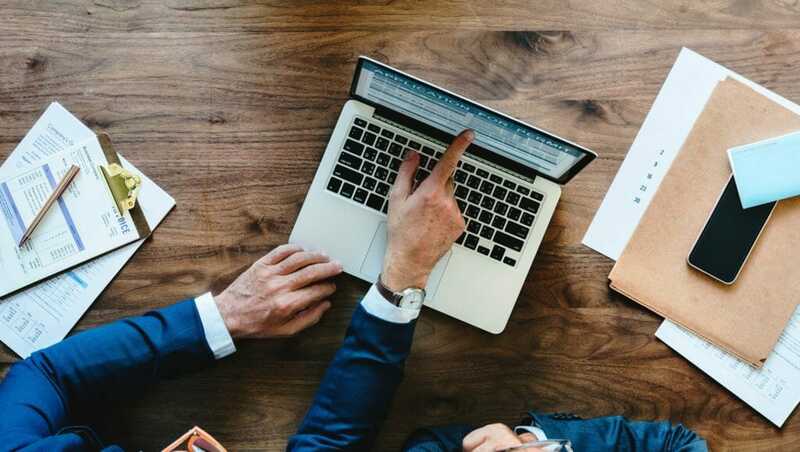 In this article, you will learn how to write your own standard operating procedures (or SOPs), which will help you solve the problems just mentioned. What Does a Standard Operating Procedure Look Like? SOPs are a set of documents that lay out how your team members should complete specific tasks and aspects of work. You can create them for all departments, including accounting, finance, IT, HR, sales and marketing, or otherwise. The easiest way to get started with your SOPs, however, is to create minimum viable procedures (or MVPs). A minimum viable SOP framework consists of just the title and process, but you can flesh it out into full-blown procedures later. The best way to begin creating MVPs is with checklists. At SweetProcess, we believe in creating detailed, step-by-step checklists to document procedures. Every procedure should begin with a specific title describing the procedure’s purpose, followed by a more detailed description. From there, the procedure should be broken down into numbered steps. Each one should contain a title as well as a description. Images or videos that walk the user through the process can be added too. Even the most complex tasks can be broken down into smaller steps anyone can follow. Keeping this format creates consistency for your employees, helping them deliver consistent results with their work. Now, let’s begin the writing process. 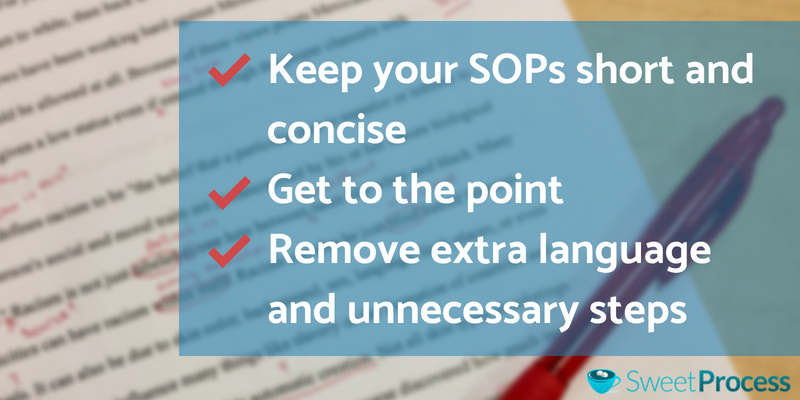 Your SOP should describe the procedure from start to finish. The objective is providing the necessary instructions to complete a task. Processes and procedures are there to help you and your team, not the other way around. If you become a slave to SOPs, you’re missing the point, and it can create an entirely new set of challenges for your organization. Which department does the procedure apply to? When was the document completed? What is the ID number of the document? If the procedure is for HR, for instance, you might consider labeling it HR-001. The first thing to cover is the purpose behind the process. What is it for? How is it to be used? Are there any standards or regulatory requirements your team should be aware of? What about the specific roles and responsibilities handled by different team members? Be explicit and clear of your procedures’ limitations. Simple is always best. It’s possible that your document contains industry-specific jargon, abbreviations, or terms that aren’t used in everyday speech. Ideally, you should reword or remove them completely. But if you absolutely must use them, then it’s important to define the terms so the reader can understand what you’re talking about. At this point, you should list the steps necessary to complete the job. Describe each step and be specific. Will your team members require specific equipment or technology? Are there any “if this/then that” contingencies that need to be covered? Is there anything they should be aware of in terms of safety? Always mention health and safety concerns in SOPs. Nevertheless, this may not be necessary depending on your industry or the exact nature of your company. If there are any hazards or potential threats, then identify and list them in your document, preferably alongside every sequential step. Equipment may also need to be defined and clarified. What does the person need to complete the job? What do they need to know about using the equipment? How is it to be used? Are there any equipment standards they should be aware of? Finally, it’s worth covering what could go wrong for an employee completing the task. Is there anything that could be an issue on a technological or equipment level? Make them aware of anything that could interfere with achieving the desired result and how to solve potential issues. What Level of Detail do My SOPs Require? In some situations, you may need to go into excruciating detail. In other instances, the bare minimum may be more than enough. You know your industry and company better than anybody else, so you should be the one to make the final decision about what your SOP documents should and should not contain. Above all, make your documents easy for anyone to understand. Keep your SOPs short and concise. Get to the point. Remove extra language and unnecessary steps. Editing is not a critical step, as having good SOPs is generally better than having no SOPs at all. If you’re balking at the thought of editing, focus on your SOPs first and worry about improvement later. Nevertheless, it can’t hurt to remove extraneous verbiage. Use active voice and offer directives. Few people like reading walls of text. 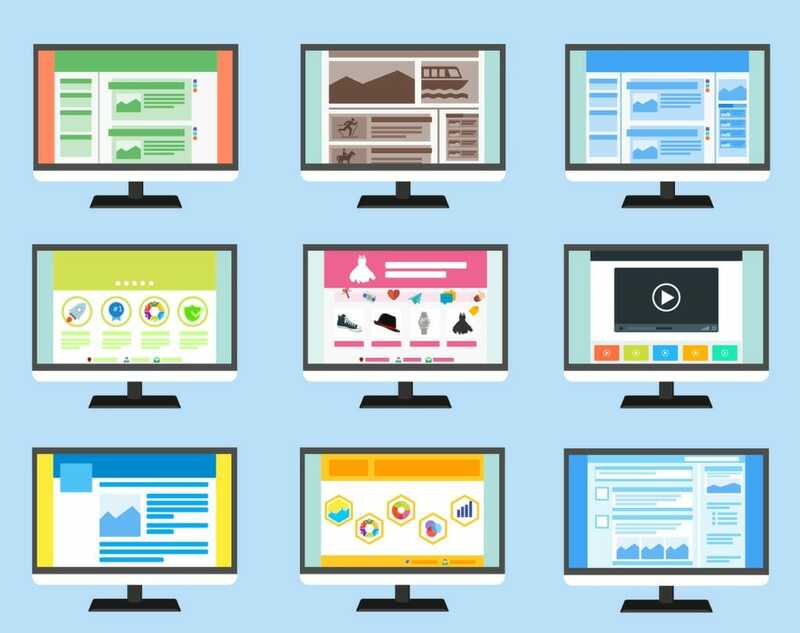 Thanks to the latest tech, it’s easier than ever to insert images, charts, screenshots, flowcharts, and videos into your SOPs. This can help you break up longer sections of text and give your user something they can latch onto visually. If a step or concept is particularly complex and hard to describe, then a video is going to be more useful than a confusing set of text-based instructions. However, beware of overuse. Visual media is fantastic, but don’t include anything that could be considered redundant. Again, if you’re having trouble describing a step, then replace the text with a diagram or a visual representation that explains it better. Do You Think Your Standard Operating Procedure Is Ready? Put It to the Test! You’ve documented your procedures. Great. But this doesn’t mean you’re done. This is just the starting point. Now you need to see if your procedures work as expected. Here’s a simple way to test an SOP: Get someone who knows nothing about the task to walk through the steps. Can they follow your steps to completion without making a mistake? Did they encounter any problems in this process? If so, you may need to edit the document until following the procedure is easy for anyone to do. It also helps to get a few different people to look at your procedure and test it out. 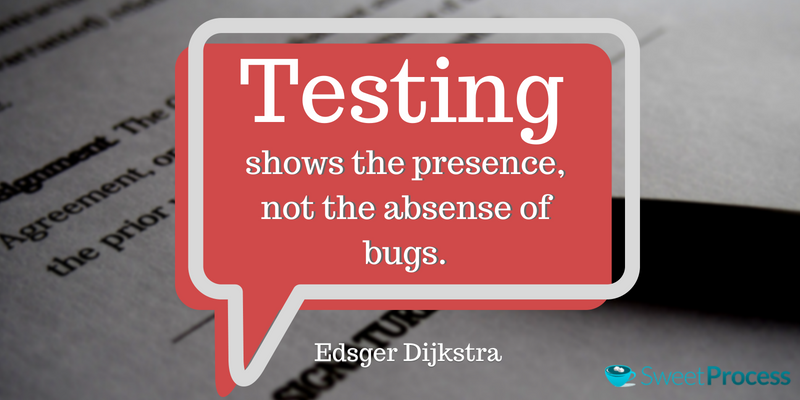 Get help from people with no prior knowledge of the job to be completed, as they make the best test subjects. Someone who knows how to finish the task quickly may not even need to refer to the document more than once to finish the job. Did the Standard Operating Procedure Pass the Test? Implement It! Once your SOP has been tested, you’re ready to implement. To bring your workers up-to-date, you may need to offer training to relevant personnel. Finally, don’t forget to keep your SOP updated. With technology changing as quickly as it has been, you may need to revise regularly to ensure maximum efficiency. Founder of SuperFastBusiness James Schramko says he uses a method he calls “I do, we do, you do” to train his employees. The process is simple. First, he’ll get on a call with the team member he’s looking to train. He’ll show them how to complete a task. Then, they’ll go through the task together. Finally, he’ll watch as his team member does the job on their own. If they do it correctly, they are ready to take over the task. There are many methods of training, and this is just one of them, but it demonstrates how easy it can be to bring your team members up to speed. 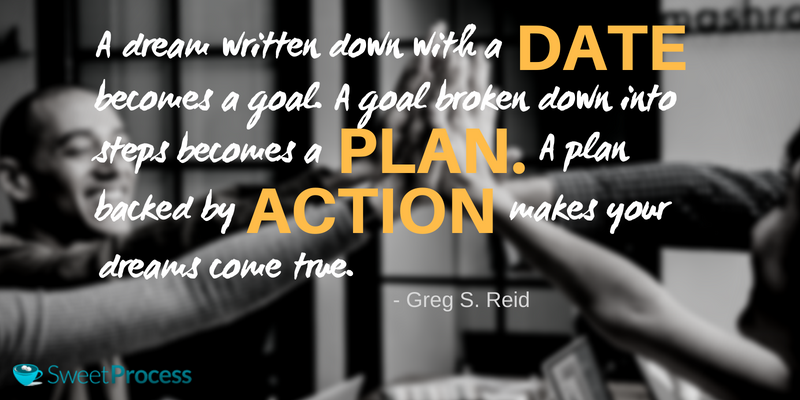 Are you ready to get started with creating Standard Operating Procedures? Would you like to spend more time working on your business instead of in it? 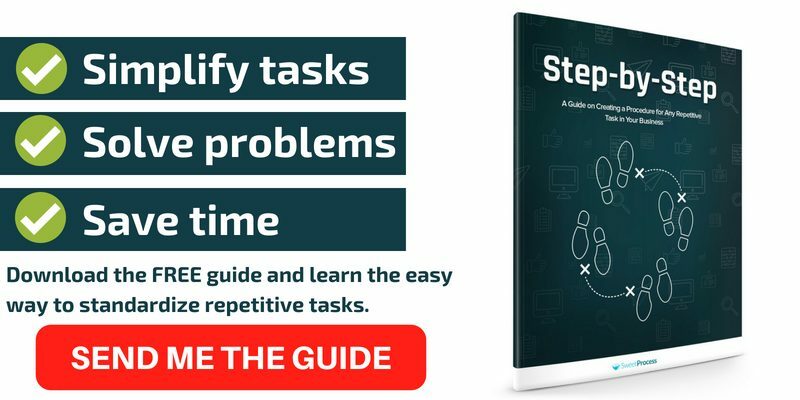 Then download our free step by step guide on how to create a procedure for any repetitive task in your business and take a load off your shoulders!